The transverse abdominus (TA) is a thin, small muscle that wraps from your spine to the front of your abdominals….like a corset. 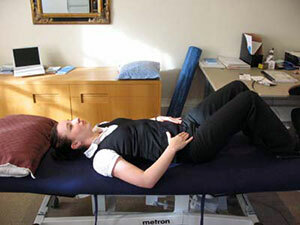 Contract your pelvic floor muscles (ie. Pretend to stop the urine midflow). Try to hold the contraction for ___ secs while you slowly breathe in and out.